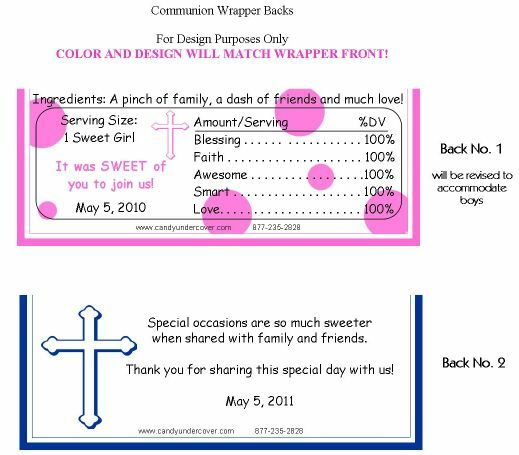 This First Communion Candy Bar Wrapper is really special. With a background of faint pink flowers, a beautiful pink cross, a photo of your child along with her name and date of Communion. 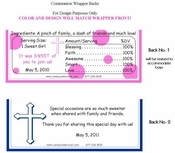 This very popular First Communion Favor will really impress your guests!